Please join us in praying for our sister in Christ, Patty Petersen, as she takes on multiple SDB missions this spring. As she has done on previous occasions, Patty will be leading a mission trip to the Pine Ridge Indian Reservation in South Dakota. The participants will help with outreach to Native Americans, learn personal evangelism, work in community vegetable gardens, and do farm chores. The new dates for the mission trip this spring are May 26 to June 2. It includes Memorial Day on May 27, which is a great date for evangelism and outreach in the community. Patty has also been commissioned by the Boulder SDB Church in association with the Missionary Society to go as a worker/evangelist/missionary to the Kingman AZ SDB Church. In early June, Patty will be steping out from her church, home, and family to join the new group led by Bob Peet in Kingman. 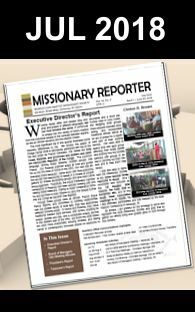 The Boulder congregation and the Missionary Society have pledged funds, but we will need to solicit more from individuals, congregations, and associations for monthly support for the first year if Patty is to concentrate on discipleship and evangelism ministry while there. With any mission opportunity we want to make sure that our prayer warriors are covering the workers and the work with prayer. We know we can not accomplish anything unless we have Christ.